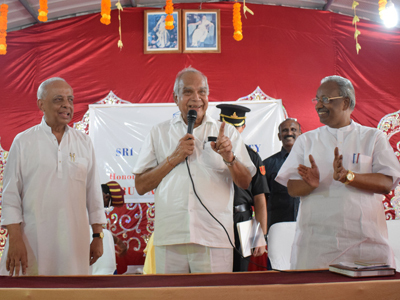 The Governor of Tamil Nadu, Shri Banwarilal Purohit, visited the Sri Aurobindo Rural & Village Action & Movement (SARVAM) summer camp site at Poothurai on May 18, 2018. 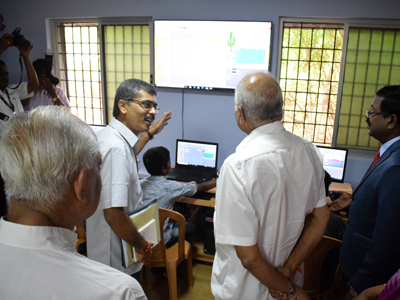 The event was also attended by L. Subramaniam (Collector of Villupuram), Vijay Poddar (Chairman, SARVAM), Dr. G. Palanithurai (Dean—Gandhigram Rural Institute) The dignitaries witnessed children engaging in various activities such as martial arts, dance, science workshops etc., and saw a display of products created by children. 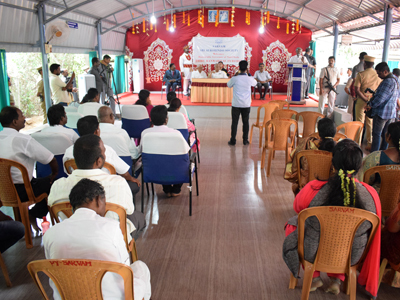 SARVAM (Sri Aurobindo Rural & Village Action & Movement) is conducting a three-week long summer camp for about 800 students in its Poothurai centre that started on May 7, 2018. The camp is catering to creative needs and learning requirements of children in the age group of 6 to 16. SARVAM has taken up a model integral rural development programme with an innovation approach in Poothurai and Perambai panchayats of Vanur Taluk, Villupuram district for the last 14 years. 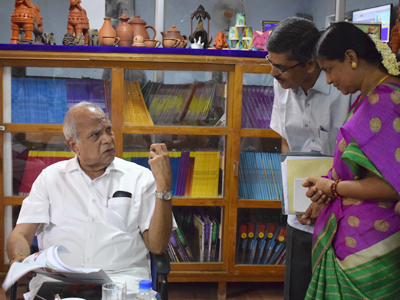 One of the main focus areas is to improve rural education, for which SARVAM is working closely with the three government schools located at Poothurai and Perambai. These schools are located in economically backward areas where the education system is in a dire need of change. Some of the important activities that are being carried out include special training sessions by experts, leading children to explore diverse and important value-based topics such as leadership, values, attitudes, dignity, self-confidence, positive thinking, etc. The children were also provided snacks in the morning, lunch and evening snacks as well. In addition to crafts and personality development, the camp will focus on aspects such as learning songs and stories, photography, writing skills, martial arts—karate and silambam, sports and games and photography. Each year, external organizations help conduct sessions and activities. This year the children were treated to engaging science and engineering activities led by students from Indian Institute of Technology, Tirupati. The Azim Premji Foundation again sent a group of facilitators who captivated the children’s attention with hands-on science and math experiments and classes in Language and Social Skills. As usual, Chinmaya Mission focussed on character building classes effectively. As always, the children were fascinated and engaged by these programs that complimented the usual offerings of craft, art, dance, storytelling, yoga, martial arts and sports and field trips. SARVAM has implemented a unique concept of weekly informal sessions for children—Children’s Corner—where they get the freedom and opportunity to cultivate their interests in dancing, singing, sports, art, handicrafts, drama, etc. Summer Camps are an extension of the Children’s Corner, where the concept of holistic development of children is the core theme. The various curricula adopted in the summer camps, include vocal and instrumental music, martial arts, science and technology, computers and multimedia, art and craft. 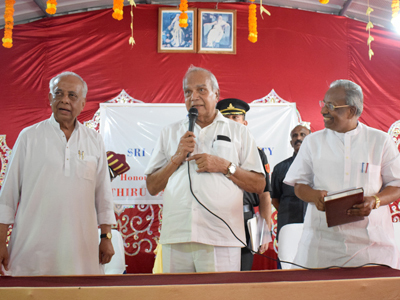 The camps also include unique workshops conducted by experts on building character, integrity, confidence, leadership and entrepreneurial skills, on nurturing values. The highly motivated children take responsibilities for the daily chores of the camp with exemplary ownership and collective pride.